Traditional fanned computer designs fail over time and under stress. Our proprietary heatsink design pulls heat away from the motherboard and other sensitive internal components. Ventless case provides a sealed enclosure for sensitive electronics, resisting dust, corrosives, and other particulate. 100% metal chassis with mechanical stiffening provides solid protection from the elements. What else makes Logic Supply IPCs different? Our proprietary passive cooling technology draws heat away from sensitive components and transfers it to the chassis, enabling efficient cooling without the need for fans. Engineered to withstand extreme temperatures and resist vibration, components like ECC memory and server grade solid state storage ensure lasting reliability. 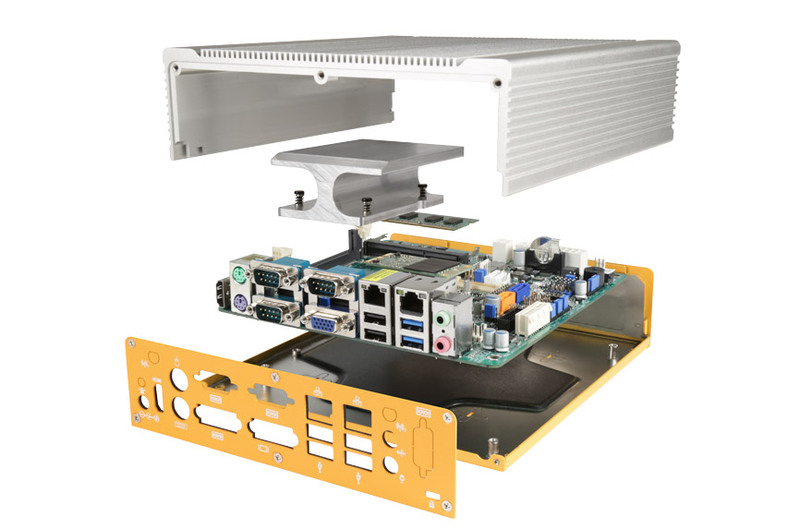 Designed to go where other computers can’t, Logic Supply hardware is as compact as it is powerful, utilizing the latest small form factor motherboards. Utilizing a range of powerful Intel processors, our computers can tackle any computing task while drawing very little power, saving money and extending system longevity. Designed to be redesigned, our modular approach to hardware enables easy customization, allowing us to create the ideal hardware solution quickly.